A few days ago when I ate at Terre Hill Family Restaurant, I wasn't hungry enough for a buffet. 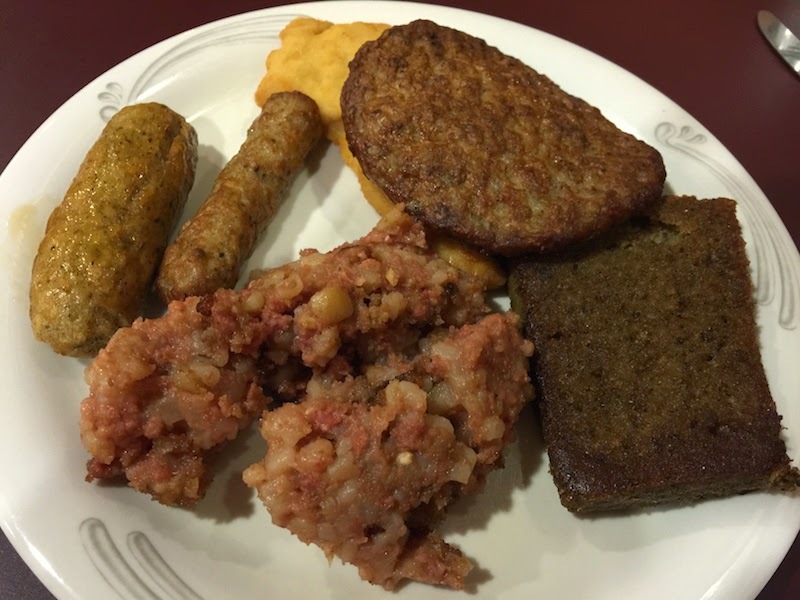 But today I was, and I found a great Amish buffet on my way from Philly to Gettysburg in the Lancaster County town of East Pearl, Pennsylvania. 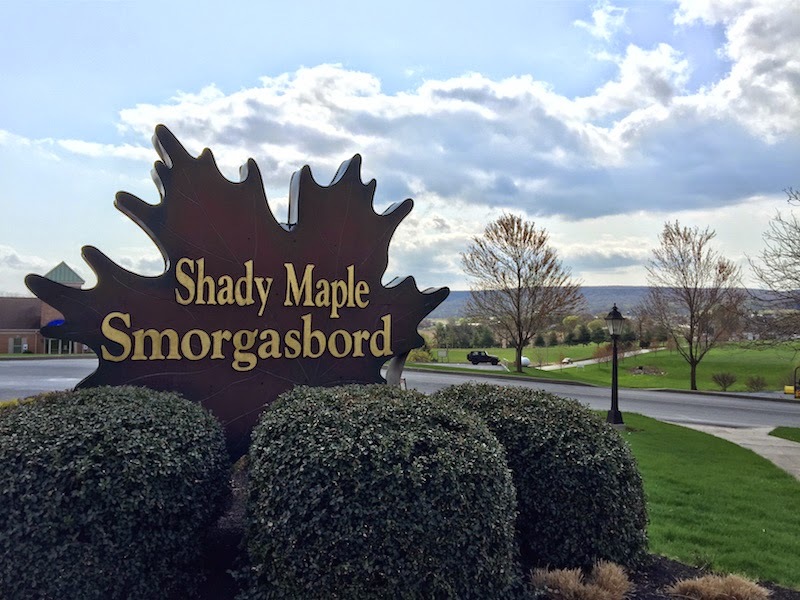 Read my full review of the Shady Maple Smorgasbord after the break. I arrived during the breakfast buffet. There's a long buffet with stations for breakfast meats, desserts, and two cooked-to-order stations for pancakes and eggs (omelettes and such). Despite how many people were there, I never had to wait in line to fill my plate. 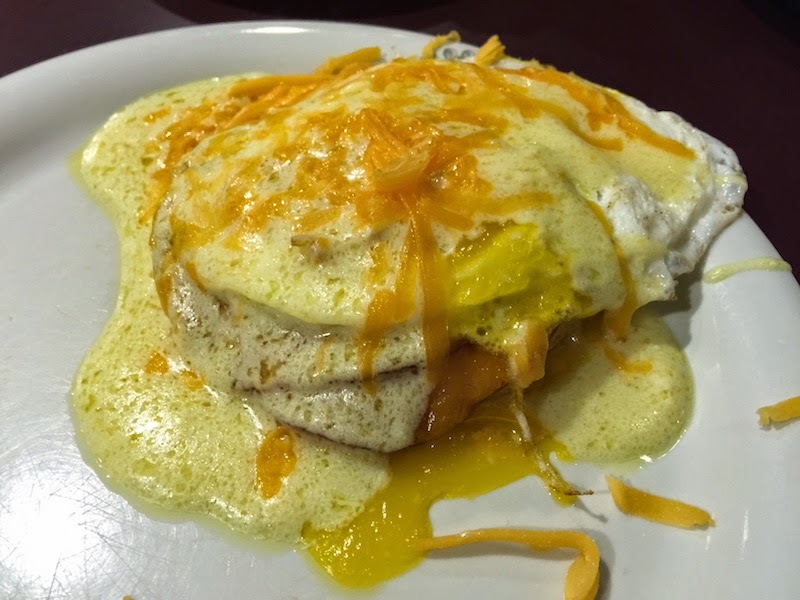 Everything I tried was very good, and in particular I enjoyed the baked French toast. 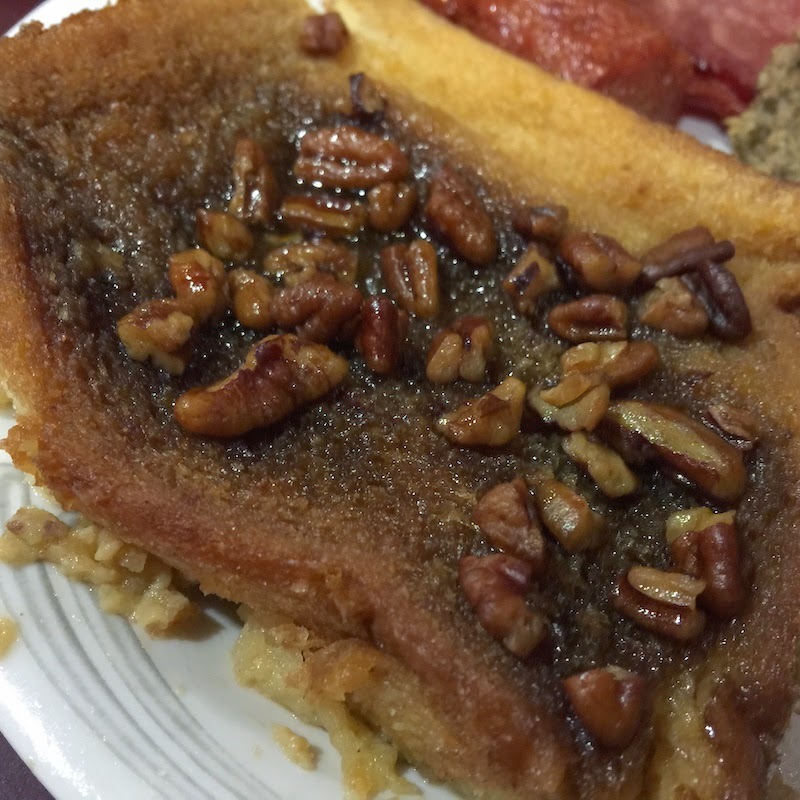 It was gooey and sweet and delicious, and covered with fresh pecans. It's already covered in syrup so you don't need to add any. The food was very good, and the price was truly a bargain. 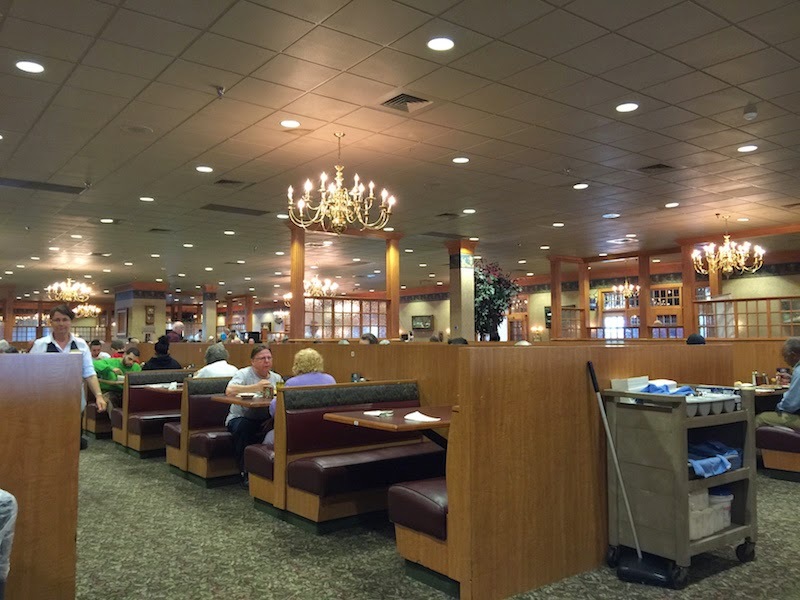 I look forward to trying the lunch and dinner buffets at Shady Maple. 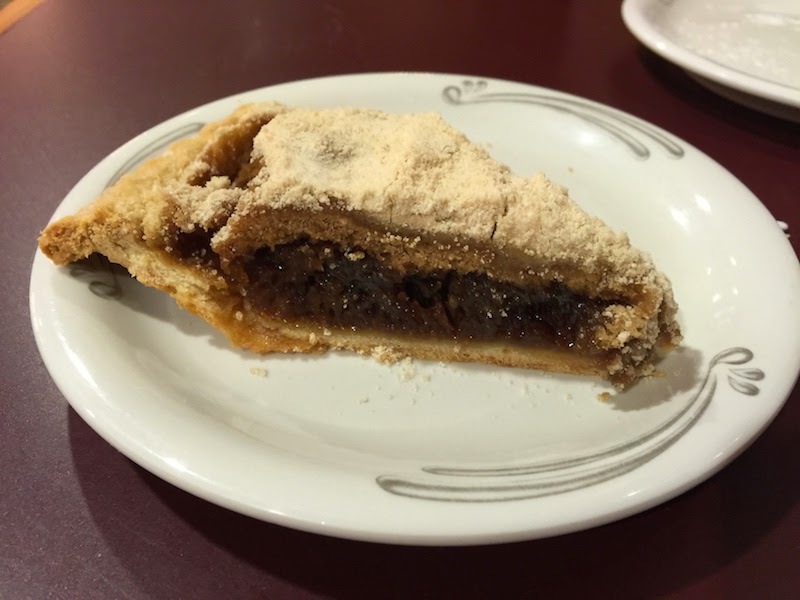 Don't forget to grab a slice of Shoofly pie when you are in Amish country. TIP: Take some time to stroll through the hallways and enjoy the amazing dioramas hanging on the walls. 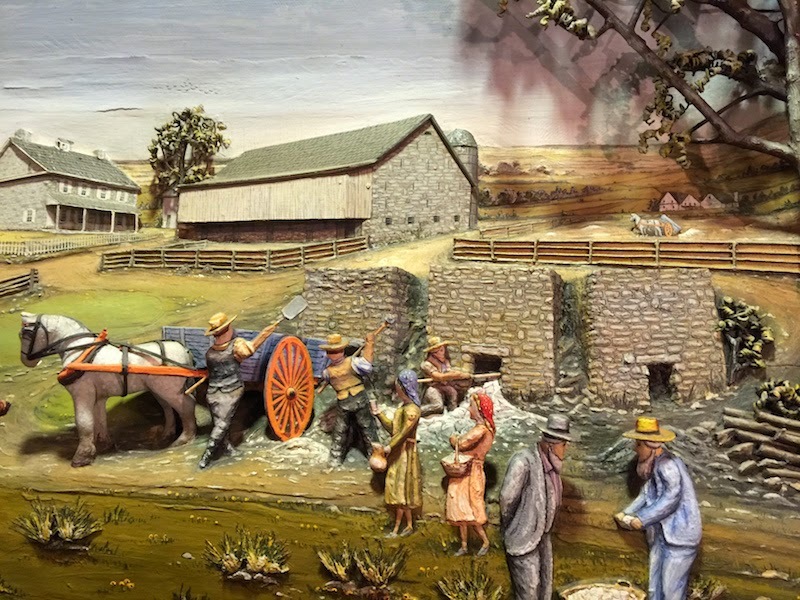 They depict scenes from everyday life in the Amish community, and they are beautiful.